The purpose of this website is to provide a place to learn everything about Steiner Ranch – the award-winning master-planned community in Austin, Texas. Our knowledge of this neighborhood is unsurpassed: Steiner Ranch is where we live, where we work, where we do our shopping and entertaining, play golf, host gatherings at our homes, where our kids go to school and so much more. “Run the Ranch” is one of many HOA-sponsored annual events in Steiner Ranch. What Makes Steiner Ranch Special? The people. We know that it can feel intimidating and uncomfortable to move to a new neighborhood. 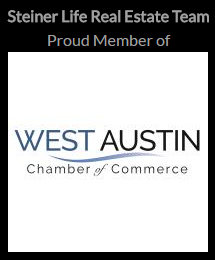 But rest assured, this community is unlike anything else in Austin. There is no need to worry if it will be easy to make friends in Steiner Ranch, because this neighborhood truly thrives off its residents. There are so many amazing people that live in Steiner Ranch. We are thankful and fortunate to know so many of our neighbors through business relationships and personal friendships. We believe that the more our community connects and the residents get to know each other, the more prosperous it will continue to become. Lake Austin access is available from Steiner Ranch Lake Club and also at the end of Quinlan Park Rd at the public ramp. Steiner Ranch literally has something for everybody. There is a vast variety of residential options available to suit your needs. We have apartments, condos, single-family homes, homes on greenbelt lots, homes with golf course views, along with expansive custom estates and luxury homes with multiple acres of prestigious and coveted waterfront land along the shores of Lake Austin. Steiner Ranch has an expansive hiking trail system, with homes backing up to its natural topography. Our website features an amazingly-fast, fully-featured, 100%-free way to search for Steiner Ranch homes for sale. 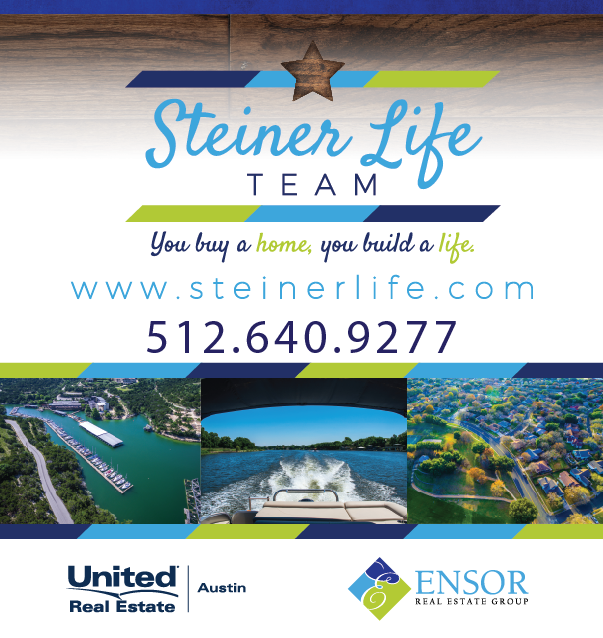 Listing data on SteinerLife.com is provided directly from the Austin Board of Realtors, so rest-assured that you are getting the most up-to-date information available. In fact, our listing data is automatically updated about 6 times per hour. And, here’s the best part: our website is 100% free to use without forced registration. How cool is that? Search for Steiner Ranch homes for sale by using our searchable maps — listing data is updated several times per hours from the MLS. We Love Showing Homes in Steiner Ranch! It would be our pleasure to show you around our wonderful neighborhood called Steiner Ranch and to share our knowledge about our real estate marketplace. We love to show homes in Steiner (for us, it’s like getting to work from home…and who doesn’t love to do that!) so don’t be afraid to let us know when you are ready to go on a property tour! Most of all, we are a relationship-based business. We are here not just to help you with your housing needs in Steiner Ranch. We are also here to help you find ways to make lasting connections and build relationships with our other residents, too. Secondly, here’s another key difference about us that’s important to mention: because of the way our team is organized, we are unique in that there will always be a way for one of our Steiner Ranch Realtors to represent you on ANY home! Finally, if you’re thinking about selling your home with us, rest assured that our team structure isn’t like some of the other teams out there where you’ll get routed from one team member to another. Rest assured, the agent you select from our team is going to remain yours from start to finish! How Can We Help? Contact the Steiner Life Real Estate Team Today! Homes Just Listed in Steiner Ranch!